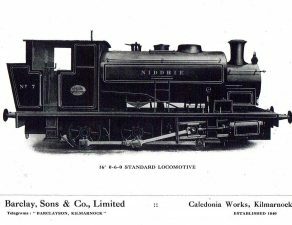 Grant Ritchie of Kilmarnock built 42 industrial steam locomotives between 1879 & 1920, primarily to order from operators in Scotland, although a few locos were supplied South of the border they also built Colliery winding gear etc.. The Company was formed in 1876, following a disastrous fire at Andrew Barclay’s Caledonia workshop in Kilmarnock. 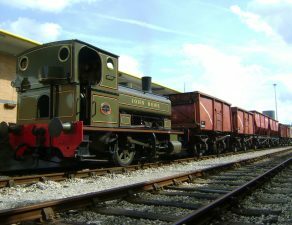 Thomas Grant, the Barclay Works manager, bought up a small engineering business in Kilmarnock and together with William Ritchie, another Barclay employee, set up in business together and started building Steam locos just down the road from the Andrew Barclay works. 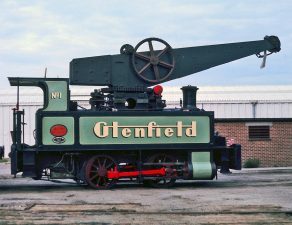 It is said that Messrs Grant & Ritchie were seen leaving Barclay’s works late one night with large bundles of locomotive drawings, this could be true as Grant Ritchie produced locos very similar to the products of Andrew Barclay. 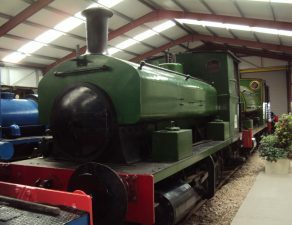 No.272 was built in 1894 and was the 14th loco built by Grant Ritchie. 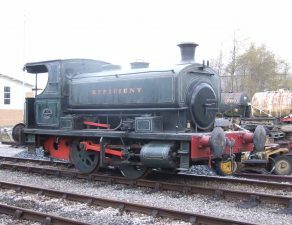 It is the manufacturer’s sole surviving 0-4-0ST. 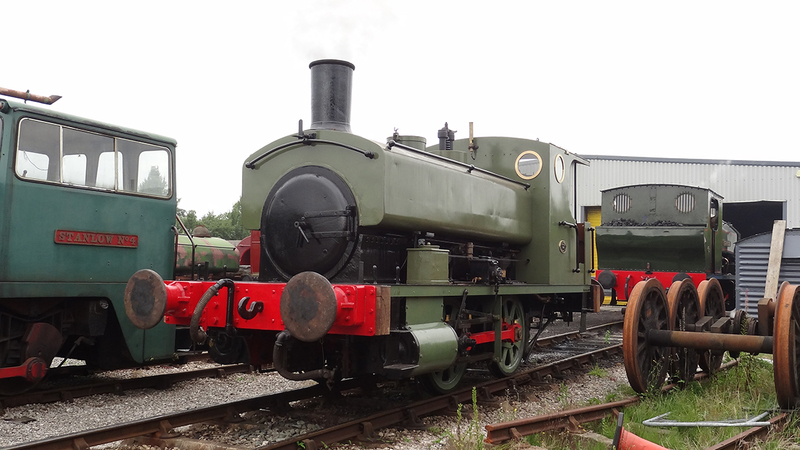 There is a 1914 built 0-4-2ST preserved at the Prestongrange Mining Museum in Scotland. 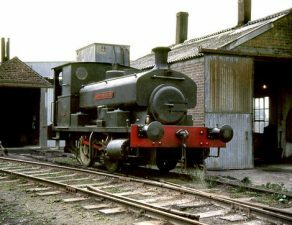 No.272 was delivered new to Kinglassie Colliery Leslie in Fife and carried the running number 21. Little appears to be known for a long period of time. It then went to Cowdenbeath Central Workshops in 1949, to Mary Colliery Fife in 1951, back to Cowdenbeath in 1955, to Fordell Colliery in 1957, Rothes Colliery in 1966 and finally to Thomas Muirs famous scrapyard in Easterbalbeggie on 25th November 1969, where it was to be joined over the years by a further ten Industrial steam locos, ironically including No.6 Andrew Barclay No 2261, which was restored to working order at Preston. 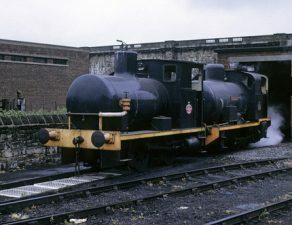 No.272 left Scotland for the first time when it moved into store near Shrewsbury. 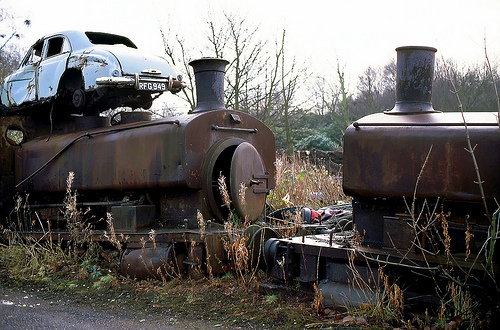 The loco then arrived at Riversway on 22nd July 2004 for long term restoration. 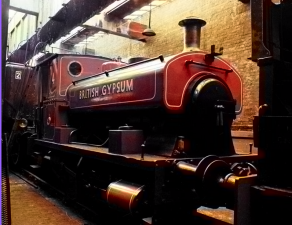 The first public return to steam will be the September 2016 Gala.